The government on Wednesday denied refugee status to hundreds of Yemenis who fled civil war and famine in their country but granted them a temporary permission to stay. 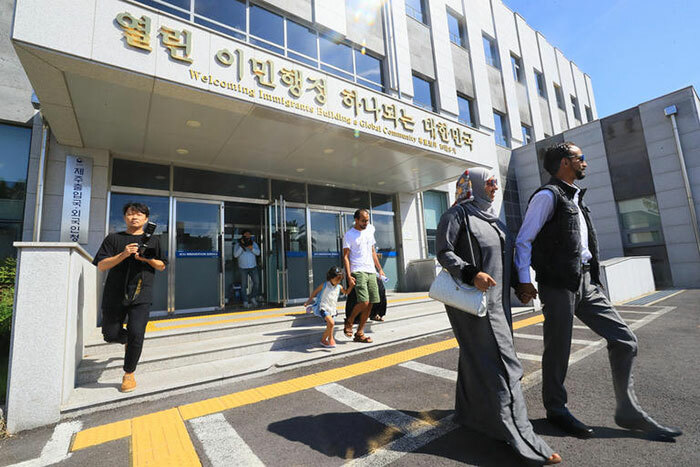 The Justice Ministry said it granted 339 out of 458 Yemeni asylum seekers permission to stay in Korea on humanitarian grounds. 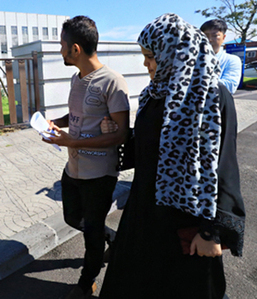 But the ministry denied a permit to 34 Yemenis on the grounds that they had not lived in Yemen before coming to Korea and therefore are believed to be economic migrants. Screening of the other 85 continues. Last month, 23 Yemenis were given temporary stay permits. Some 550 Yemenis have come to Jeju Island on a visa waiver which only the resort island offers to encourage tourism. Those who have been granted a permit can leave Jeju for other parts of Korea and live here for up to a year. The permit can be renewed. But they must report to immigration authorities if they change their address and must also obtain government approval to work. They can face punishment for violating those regulations but not deportation. The number of asylum seekers in Korea rose from 1,574 in 2013 to 9,942 last year and is expected to surpass 18,000 this year. The UN has warned that Yemen faces the world's worst famine in a century, with 13 million people at risk of starvation, while hundreds of civilians have been killed by Saudi-led bombing as a proxy war between Iranian-backed Houthis and Saudi-backed Sunni militias rage on.